ASIA in concert in November 2012. Guitarist Steve Howe, singer-bassist John Wetton and drummer Carl Palmer. I am very saddened to hear of the death of John Wetton earlier today. Below is the official media release that arrived in my inbox this morning. 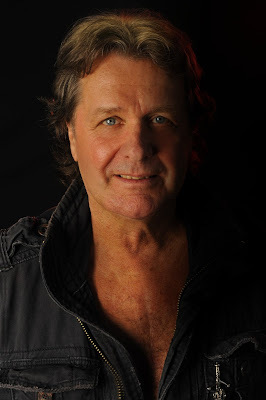 I first caught John Wetton live at one of my first concerts, when I saw ASIA touring in support of their first album at the Long Beach Arena in July 1982. 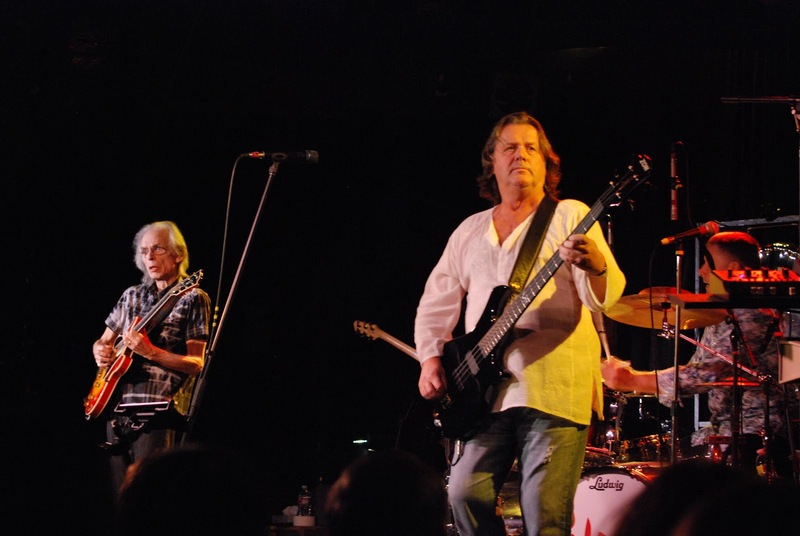 Then in August 2010, I got to see the ASIA two nights in a row and Wetton was fantastic. A link to my review of those two nights can be read here; more recently, in November 2012, I caught the band in a memorable performance at the Coach House in San Juan Capistrano, CA. You can read that review here. House in San Juan Capistrano in 2012. In 1966, The Beatles released Revolver: innovative and seminal, it marked a departure from their earlier records and pushed the boundaries of rock and pop music. 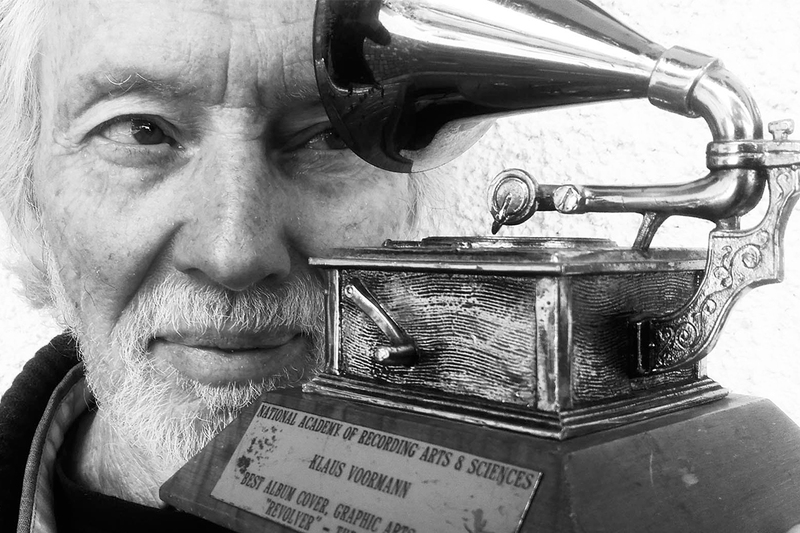 Capturing The Beatles’ new direction, and visually representing their sound, Klaus Voormann’s Revolver cover artwork became instantly iconic. It went on to win the Grammy Award for Best Cover - Graphic Arts on 2nd March 1967 – the first time for a rock and pop album. Fifty years on, Klaus Voormann has collaborated with Genesis Publications to produce a signed, enhanced edition of his recent book, Revolver 50, to celebrate the anniversary of his landmark award. REVOLVER 50: GRAMMY ANNIVERSARY EDITION is limited to just 500 copies. The 156-page book tells the story of the making of the celebrated collage, and each copy will come with a signed original drawing by the artist; a one-of-a-kind artwork, from a selection Voormann has curated exclusively for this anniversary edition. 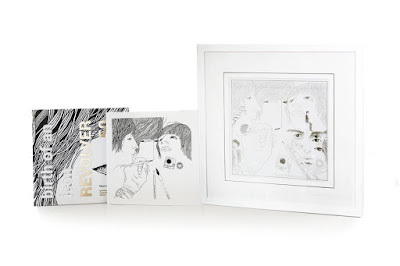 In Revolver 50, the story of the album cover is recounted in the style of a graphic novel, starting with Voormann meeting The Beatles in the Reeperbahn in Hamburg, visiting them at Abbey Road to listen to Revolver during the album’s production, and the ultimate reaction of the band to his finished design. The book offers a fascinating insight into the making of the legendary cover with new artwork and photos, a foreword by Paul McCartney, an introductory letter from Ringo Starr and contributions from Mike D’Abo of Manfred Mann and Professor Lawrence Zeegen, Dean of the School of Design at Ravensbourne. REVOLVER 50: GRAMMY ANNIVERSARY EDITION will be released as 67 Deluxe copies and 433 Collector copies. Deluxe copies (£845) will come with an original artwork in an 18.5 x 18.5” frame, while the Collector copies (£325) will contain drawings of varying sizes, placed within a 12 x 12” record-sized mount, suitable for framing. All 500 copies will include a signed, limited edition version of the Revolver 50 book, with gold foil blocking, gilt page edges and encased in presentation boxes – along with a special Grammy Anniversary 12-page commemorative booklet. REVOLVER 50: GRAMMY ANNIVERSARY EDITION is a classic for every Beatles fan or collector, and a unique chance to acquire a piece of artwork celebrating the timeless Revolver album, 50 years after Voormann originally drew the award-winning image. Klaus Voormann has designed album sleeves for many artists, including the Bee Gees, Ringo Starr and Sonny Rollins, and has played on many of The Beatles solo projects. 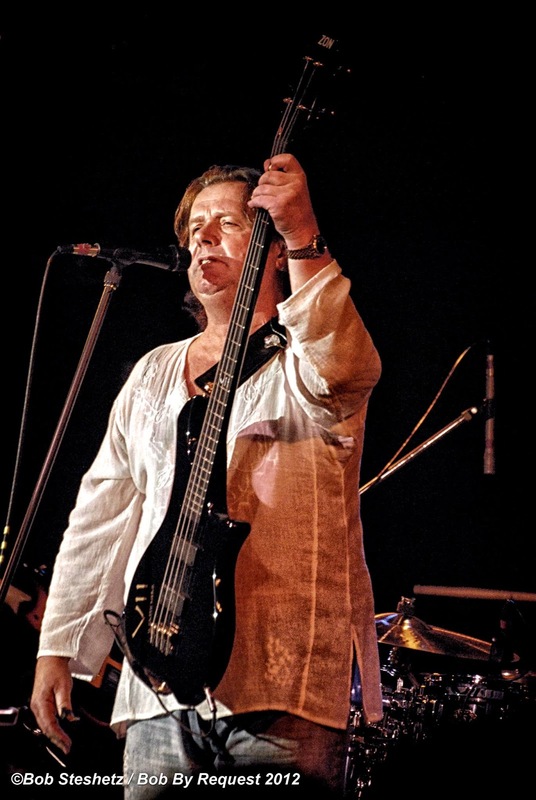 He took part in the Concert for Bangladesh, was a member of the Manfred Mann Band and was a founding member of Yoko and John Lennon’s Plastic Ono Band, as well as contributing to numerous recordings, including Randy Newman, Lou Reed, Ravi Shankar and Carly Simon. In 2009, Voormann celebrated his 70th birthday by releasing his own album, A Sideman’s Journey, featuring various musicians he has collaborated with over the years - such as Paul McCartney, Ringo Starr, Dr. John and Joe Walsh. New York, January 30, 2017 - Citi, working with Live Nation, will unveil "Citi Sound Vault," a new live music platform curated exclusively for cardmembers to access unprecedented music experiences across the U.S. From performances by major artists in intimate venues, to meet and greets and backstage access, Citi Sound Vault goes beyond ticket access to deliver extraordinary, once-in-a-lifetime experiences. Kicking off in Los Angeles from February 8 - 12, 2017 during one of the biggest weeks in music - traditionally only open to industry insiders - Citi and Live Nation have hand-selected Sting, Beck, The Chainsmokers, and Metallica to perform for cardmembers at the iconic Hollywood Palladium. A full schedule of events at the Hollywood Palladium can be found below. 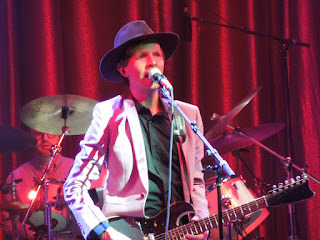 Beck in concert at Brooklyn Bowl Las Vegas in March 2016. Tickets go on sale January 31, 2017 at 10 a.m. PT for Beck, The Chainsmokers, and Metallica exclusively for cardmembers using their Citi credit or debit card, at www.livenation.com. In addition, Citi cardmembers have the opportunity to purchase a limited number of preferred GA balcony tickets to the Sting show on February 8. Jennifer Breithaupt, Managing Director, Media, Advertising and Global Entertainment for Citi. "Citi Sound Vault brings our cardmembers access they will never forget." "Citi Sound Vault epitomizes the work we strive to create for our partners by providing them with custom music experiences," said Darin Wolf, EVP Live Nation Media & Sponsorship. "The driving force behind developing the concept was to put Citi cardmembers at the epicenter of the most electrifying week in music and continue to build on that unparalleled fan access throughout the year and beyond." Citi and Live Nation - the world's leading live entertainment and ticketing company - have a longstanding relationship that is focused on providing fans with more access to their favorite artists and providing next-gen experiences. Live Nation Entertainment, Inc. (NYSE: LYV), or Live Nation, is the world's leading live entertainment and ticketing company comprised of global market leaders: Ticketmaster, Live Nation Concerts, Live Nation Media & Sponsorship and Artist Nation Management. For additional information, visit www.investors.livenationentertainment.com. TO THE MUSIC OF THE BEE GEES"
SANTA MONICA, Calif. (Jan. 27, 2017) — Just two days after the 59th Annual GRAMMY Awards®, The Recording Academy®, AEG Ehrlich Ventures, and CBS will celebrate the 40th anniversary of the landmark soundtrack to the film Saturday Night Fever by presenting "Stayin' Alive: A GRAMMY® Salute To The Music Of The Bee Gees." Previous GRAMMY® nominee Andra Day, five-time GRAMMY winner Celine Dion, multi-platinum pop-funk band DNCE, previous GRAMMY nominee Nick Jonas, previous GRAMMY nominee Tori Kelly, 10-time GRAMMY winner John Legend, current GRAMMY nominee Demi Lovato, two-time GRAMMY winners Little Big Town, two-time GRAMMY winners and current nominees Pentatonix, and four-time GRAMMY winner Keith Urban, will pay tribute to five-time GRAMMY winners and Recording Academy Lifetime Achievement Award recipients the Bee Gees. Seven-time GRAMMY winner and Bee Gees co-founder Barry Gibb, who released a solo album late last year, will also be on hand to perform a selection of hits from Saturday Night Fever—Soundtrack, which won Album Of The Year at the 21st Annual GRAMMY Awards and was inducted into the GRAMMY Hall Of Fame® in 2004. Additional performers will be announced soon. The live concert taping will be held Tuesday, Feb. 14, 2017, at Microsoft Theater in Los Angeles. To purchase tickets, starting at $25, visit www.axs.com or contact ticketing@grammy.com.VIP packages and group sales are also available at 877.234.8425 or tickets@aegworldwide.com.The special will broadcast on the CBS Television Network later this year. "Stayin' Alive: A GRAMMY Salute To The Music Of The Bee Gees" continues the tradition of previous Emmy®-winning TV specials presented by The Recording Academy, AEG Ehrlich Ventures, and CBS: "Stevie Wonder: Songs In The Key Of Life—An All-Star GRAMMY Salute," "The Beatles: The Night That Changed America—A GRAMMY Salute," and "Sinatra 100—An All-Star GRAMMY Concert." "Stayin' Alive: A GRAMMY Salute To The Music Of The Bee Gees" is produced by AEG Ehrlich Ventures, LLC. Ehrlich and Rac Clark are the executive producers, Ron Basile is the producer, and David Wild is the writer. Established in 1957, The Recording Academy is an organization of musicians, songwriters, producers, engineers, and recording professionals dedicated to improving the cultural condition and quality of life for music and its makers. Internationally known for the GRAMMY Awards—the preeminent peer-recognized award for musical excellence and the most credible brand in music—The Recording Academy is responsible for groundbreaking professional development, cultural enrichment, advocacy, education and human services programs. The Academy continues to focus on its mission of recognizing musical excellence, advocating for the well-being of music makers and ensuring music remains an indelible part of our culture. 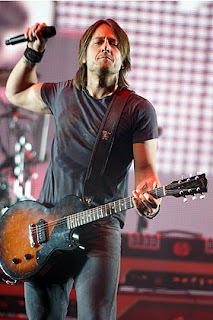 For more information about The Recording Academy, please visit www.grammy.com. For breaking news and exclusive content, follow @RecordingAcad on Twitter, "like" Recording Academy/GRAMMYs on Facebook, and join The Recording Academy’s social communities on Google+,Instagram, Tumblr, and YouTube.